The Daily Telegraph recently reported a leaked memo from HM Revenue & Customs (HMRC) surrounding so-called ‘reasonable excuse’ claims for late tax returns. The Daily Telegraph quotes the memo as saying: "Our penalty regime is intended to influence customer behaviour, but also be clear and cost-effective, fair and proportionate. "This means that in the vast majority of cases we will be accepting the customer's grounds for appeal, and we can cancel the penalty." According to the Daily Telegraph, a HMRC spokesman said it had "always accepted" those with a reasonable excuse should have a penalty waived, and it was now "expediting that process". A statement added: "We've been clear we want to focus more and more of our resources on investigating major tax avoidance and evasion rather than penalising ordinary people who are trying to do the right thing. "But no one will be let off the fine unless they've now sent in their return and have a good reason for sending it in late. Although this is far from an amnesty, if the report is true this will be a relief to taxpayers who have filed late and had a good reason for doing so. 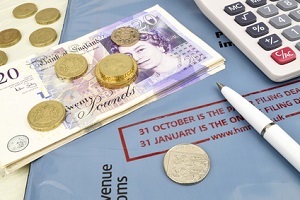 In this article, we’ll cover what you need to do to take advantage of HMRC’s change in stance. The deadline for filing 2013/14 self-assessment tax returns was 31 October 2014 for paper returns and 31 January 2015 for returns filed online. If you’ve been asked to complete a tax return for 2013/14 and haven’t filed it yet, you should have been issued with an automatic, initial penalty of £100. After a three-month delay, the penalties really start to spiral. See our article covering the penalty regime. If you believe you’re not required to submit a tax return, you can phone HMRC on 0300 200 3310 and ask for the tax return to be withdrawn. If HMRC agrees, you no longer have to file a return and any penalties issued for missing the deadline should be cancelled. Make sure you make a note of who you spoke to and when, and what the outcome is expected to be - when will you have a decision from them for example? HMRC is unlikely to withdraw a return if you have been self-employed at any time during the tax year – even if it was only for a very short time. File your tax return as quickly as possible, as penalties escalate the longer the delay. It also makes sense to file your return online as the deadline for filing online was more recent. Your local TaxAssist Accountant would be happy to prepare your tax return for you. Simply contact us if you’d like to be put in touch with your local office. Now you’ve filed your 2013/14 tax return, unfortunately you can expect to receive a late filing penalty imminently. If you have a good reason for the delay in filing your return, you may appeal against the penalty. HMRC provides a list of common examples of Reasonable Excuses on their website. Any tax liability for 2013/14 was due by 31 January 2015. If it was not paid within 30 days of the deadline, late payment penalties will start to accrue. But provided you fill in the relevant section of your Reasonable Excuse claim, these could be covered also. Interest is charged for the entire period the tax is outstanding, and this cannot be mitigated. What’s unlikely to be a Reasonable Excuse? As covered in the introduction, HMRC is reportedly taking a more relaxed approach to Reasonable Excuse claims. If you’d like any assistance with preparing your tax return, your local TaxAssist Accountant would be happy to help. We can make sure that all the expenses you are entitled to recover and any allowances available to you are fully utilised. It gives you peace of mind that your return is correct and that you’re paying the right amount of tax - and not a penny more! Furthermore, we can also manage your Reasonable Excuse claim for you to give you the best possible chance of being successful in your appeal. If you’d like to discuss your affairs earlier, please contact us online or give us a call on 0800 0523 555 and we’ll put you in touch with your local TaxAssist Accountant.